After a young, white gunman killed twenty-six people at Sandy Hook Elementary School in Newtown, Connecticut, in December 2012, conservative legislators lamented that the tragedy could have been avoided if the schoolteachers had been armed and the classrooms equipped with guns. Similar claims were repeated in the aftermath of other recent shootings—after nine were killed in a church in Charleston, South Carolina, and in the aftermath of the massacre in the Pulse nightclub in Orlando, Florida. Despite inevitable questions about gun control, there is a sharp increase in firearm sales in the wake of every mass shooting. 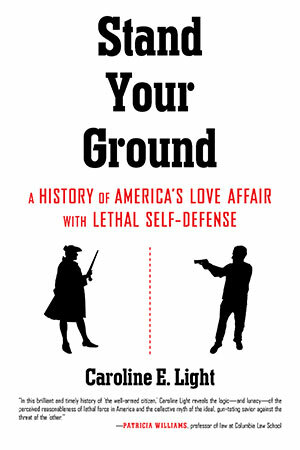 In this convincing treatise on the United States’ unprecedented ascension as the world’s foremost stand-your-ground nation, Light exposes a history hidden in plain sight, showing how violent self-defense has been legalized for the most privileged and used as a weapon against the most vulnerable.